Volkswagen AG made a “strategic investment” of $300 million in ride-hailing service Gett, the German automaker announced Tuesday. The Israeli startup is available in more than 60 cities around the world and had previously raised $220 million in funding. “Innovative, digitally integrated services covering all aspects of mobility promise very strong growth momentum and huge earnings opportunities in the coming years. The ride-hailing market represents the greatest market potential in on-demand mobility, while creating the technological platform for developing tomorrow’s mobility business models. The Volkswagen Group’s expressed goal is to generate a substantial share of sales revenue from such new business models by 2025,” the company said in a statement. Under the deal, apart from sharing data and working on future projects, Volkswagen will offer its business customers on-demand ride services and Gett drivers would get discounts on using Volkswagen cars as taxis, the Financial Times reported. Gett, which operates in cities like London, Moscow, New York and Tel Aviv, has also diversified into deliveries. Based on its current monthly sales, the company projects an annual revenue of $500 million. Also on Tuesday, Japanese carmaker Toyota announced an investment of an undisclosed value in Uber. Earlier in the year, General Motors invested $500 million in Lyft for 9 percent stake in the company. This month, Apple announced a $1 billion investment in Chinese ride-hailing service Didi Chuxing. 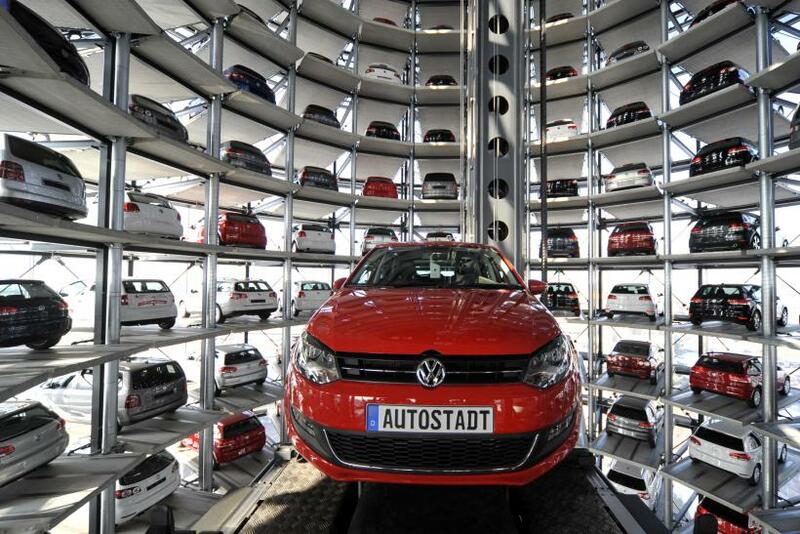 Volkswagen shares closed 2.46 percent higher on the Frankfurt Stock Exchange Tuesday, slightly outperforming the automobile sector index, which rose 2.01 percent, and the broader DAX Index, which climbed 2.18 percent.